I had heard about Sri Sathya Sai Baba probably when I was in school as my mother used to keep a small photograph of Baba in our puja room in Kolkata. However not only I knew very little about Him at that time, I also didß not make any effort to find out. 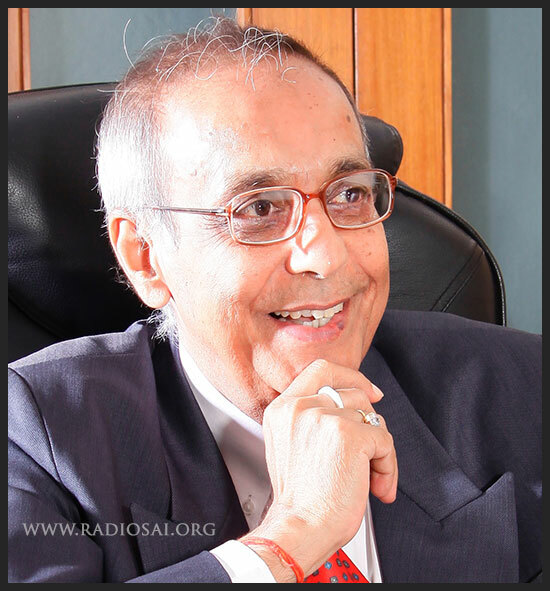 On completion of my education I moved over to Mumbai, where I worked for many years. For some years, I lived at Andheri (East), barely a kilometre or two away from Baba’s Ashram known as Dharmakshetra. I did not take much notice of it till the time my mother visited me, and came to know from somewhere that Baba was in Mumbai for a few days. She expressed a desire to visit the Ashram and have Baba’s darshan, and wanted me to take her there. That was the first time I saw Baba in human form, without knowing what awaited me in later years. When Indian Institute of Management (IIM), Lucknow began its academic activities in 1985, I relocated to Lucknow which incidentally was never in my scheme of things as I was quite settled in Mumbai. I had a colleague at IIM whose family was a great devotee of Baba. It is he who used to occasionally tell me about Baba. All too suddenly, in 1991, I received a telegram from Baba’s University requesting me to visit the University for a couple days. Since I was to go to Bangalore for some work at that time, I decided to extend my visit and spend couple of days at Puttaparthi. Being there for two-three days put me on a mode of deep introspection as the experience of staying in Baba’s Ashram at Prasanthi Nilayam was truly overwhelming. The love and care with which I was treated there were hitherto unknown to me and the same deeply touched my inner self. Interestingly, from material point of view, everything there was very ordinary as the room I stayed did not have any bed, what to talk about linen. Yet, this was a place with a difference. The big difference was the environment, which appeared to be immersed in an ocean of love. My immediate realization was, Puttaparthi is neither a village nor a town; it is a place of its own kind, difficult to describe using any common or known vocabulary. I began to become curious to know what makes it that way. Being from academia, and supposedly having a logical frame of thought in mind, I was trying to establish a typical cause-effect relationship. Not knowing how to proceed, I asked a senior professor of the university to help me understand the dynamics at work there. All he told me is the following quote from Baba. The above sounded something bizarre, new and different to me; and, I was at a loss to fathom the meaning. When asked for true meaning of the above, the professor there said, “You will gradually understand as you see things around”; thus leaving me somewhat bewildered, submerged in a state of abstractness. My journey towards Sai began then, more to understand things around Him. 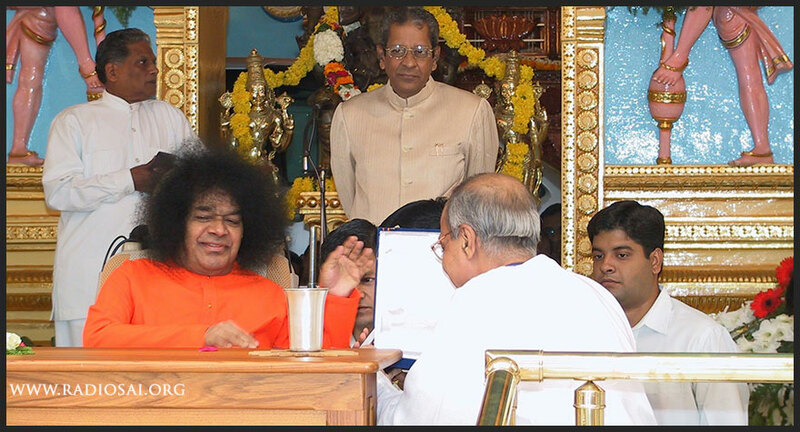 He, surely, read my mind and began creating occasions which took me to Prasanthi Nilayam many times thereafter. Admittedly, mere opportunity does not necessarily take a person to a place; the much needed will has to be there in you. I am not sure if I had that will. The fact is, there was a kind of invisible magnet at work that started pulling me there again and again. Each visit to Baba’s kingdom was memorable in its own way and was full of lessons. Me, being from the educational fraternity He would often ask me questions around education. Those questions either left me speechless, or made me struggle hard to find answers of. Loving teacher that He was, He would answer the question Himself, providing a metaphorical comparison, which too would be deep in meaning. As a result, finding answer of one question would be like going through one full course taught in Universities. In so many ways He made me realize that there are more things in life which are much beyond the so called scientific explanations. He brought out this to me in a manner I could have never conceived of. During one of my visits to Baba’s Brindavan Ashram at Whitefield, I kept receiving my own pair of shoes on getting out of any and every door, irrespective of where I left them at the time of entry. A bright and enlightened looking person would be standing with the pair of shoes at the door of my exit. Incidentally, that was the first time I went to the Brindavan Ashram on Baba’s invitation to address the Summer School held there. Therefore, I assumed this may be the practice in the Ashram there, and the person performing the task must be getting paid for doing that. My eyes opened up when I accidentally found out that the person bringing my shoes was a very senior official, who is happily and wilfully performing voluntary service after his retirement, under the guidance of the Supreme Lord. In fact, each time he handed over the shoes to me his face would glow up in such a manner as if he is experiencing unhindered bliss. This shock treatment sent me deeper into my inner journey. True, I read earlier the many written messages in the Ashram complex, one among which read, “Be Good, See Good, Do Good”. I thought such things are generally written in places of worship, all round the world, as routine sermons or high pedestal preachings. But, when I saw it getting translated with effortless ease on a mundane activity such as this - without any concern for position or power - and, that too, with so much of self-satisfaction, I could visualize what “Love in action” is. I realized that what was happening there was nothing but Chamatkar (a miracle); for which there is no scientific explanation. Science is limited in matter and energy. Beyond the realm of science, there is consciousness and supreme love, which Baba personified. He often used to say, “conscious, concern, conscience”. Instantly it struck me that Baba’s darshan is a Chamatkar in itself, as it constituted both a sight as well as an insight. As a teacher of management I always knew that a good example or two can clear all doubts in pupil’s mind. Here I came to be exposed to Baba’s ways of teaching first hand, realizing that Baba’s creations were manifestations of that consciousness and supreme love to plant faith in divinity in the mind of the beneficiary. Baba often said, “Others work with you, I work on you”. He used to truly do so with numerous such Chamatkars, making it appear as though those are just random happenings. I remember the supreme privilege He granted to me once with a one-to-one personal interview in which he asked me the difference between science and spirituality; knowing fully well that my scientific mind would still seek logic and explanation for the things I was coming across in the Ashram. He, therefore, wanted to know my explanation of those. Given the moment and being face-to-face with the Divine, I was totally speechless, forgetting literally everything that I have learned from books and learned periodicals. Realizing my predicament, He symbolically drew a circle in the air, indicating one half as science and the other half as spirituality, and said, “Science explains this, spirituality explains that; two together complete the circle”. To understand things little more, in one of my visits, I chose to spend considerable time with the students of the university there at Puttaparthi, called Sri Sathya Sai Institute of Higher Learning. I asked the students what they get to learn there which students studying elsewhere do not learn. The students (popularly called as Swami’s boys) gave me a short reply saying their learning starts at the hostel and ends in the temple. When pressed further, they told me an interesting incident. They said, once Swami (Sai Baba) called them in a small group and gave them some murukku (a south Indian snack) to eat. While eating, tiny pieces of murukku fell on their clothes. After a while, on standing up, the students brushed aside those pieces with their hands and heard Swami say, “That is what you do in life”. Feeling ashamed, they quickly pushed the pieces under a table so that those are not easily visible. This time Swami told them, “That is also what you do in life”. He never admonished or scolded them, but the students said that these two small sentences of Swami made them deeply aware of their acts and transformed them, changing their “Sanskars” (tendencies). Baba, thus, adopted unique and unobtrusive ways of educating one and all. Soon I began to recognize that all His “chamatkars” were intended to transform and reconstruct a person as I also heard Him say, “Prasanthi Nilayam is not a place of pilgrimage, it is a workshop.” In this workshop, thoughts, words and deeds got cultivated as part of an integral process derived from Baba’s general philosophy of life as whole. The watchwords of this philosophy are Sathya, Dharma, Shanti, Prema; promoting self-reverence, self-knowledge, and self-control. In parallel, Baba taught vision, compassion and professionalism to one and all, through umpteen day-to-day actions. In Baba’s presence every person – irrespective of position, power or money the person had – wilfully becomes a student. This seems to happen naturally and is difficult to explain why. Baba was also always alert to help everyone overcome any state of ego. Whenever He saw the emergence of ego in any person He came up with some message through His discourses. 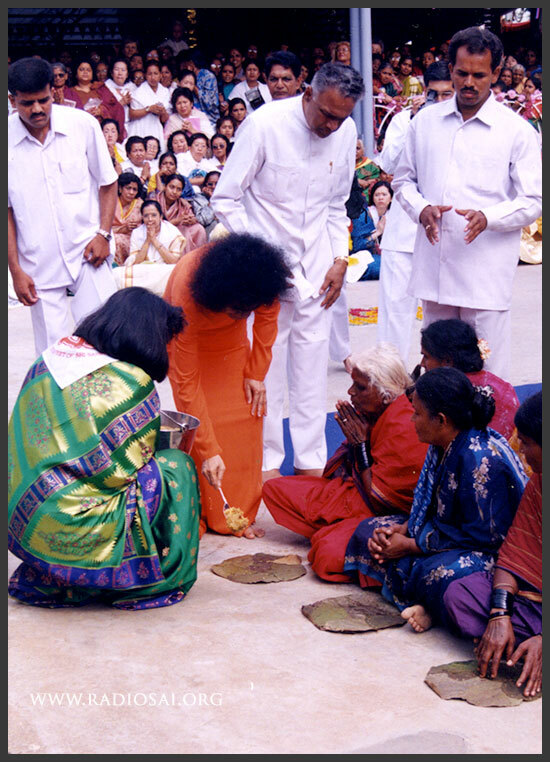 Once He chose the name of the place (Puttaparthi) itself to communicate what He wanted to say. “Put apart the I”, said He. On another occasion, a group of students were looking for Baba’s appreciation after putting up a good stage performance. Baba was generally appreciative of every performance, granting special privileges to performers, be they students or whoever else. He did the same on this occasion too, but chose to lovingly ask a question to the students who performed. He asked them, “God gave you the time, space, cause, material, idea, skill, chance, and fortune. Why should you feel you are the doer?” This conveyed profound message not just to the students but to the whole assembly congregated there, reminding everyone what Baba often said explaining the meaning of His name, SAI (See Always Inside). What is more, He taught each and every person with supreme trust that the learner will imbibe the lessons. This is radically different from the belief commonly held by people. In common belief, one says, I shall trust you if you are trustworthy. Baba, on the contrary, with His infinite love and compassion did otherwise, as every action of His demonstrated that if you trust a person (s)he becomes trustworthy. That, then, is Love in Understanding. To me, Baba was, and still is, the teacher of all teachers, the Guru of all Gurus; and I prostrate before Him with utmost reverence. He reassured us saying: “I will always be with you wherever you are, inside you, behind you, beside you” during one of the conferences held at Prasanthi Nilayam. Therefore, Baba may be no longer with us in physical form; but, He is, and will always be, with us. His simple, yet powerful messages like, “Help Ever, Hurt Never”; “Love All, Serve All” created deep impact in us, which my family members and I will strive to imbibe. We are confident Baba will act as the loving guide as always.